Geoff Platt began his career in music management. After a season of selling concert series in northern Maine for Columbia Artists Management, he was invited to Lincoln Center to be assistant manager of the first recital series at the then new Philharmonic (now Avery Fisher) Hall. The year following he became manager of the New Jersey Symphony Orchestra. In his three years there he expanded the orchestra’s season into summer performances and hired the first African-American conductor of an American orchestra, Henry Lewis. He resigned in 1969 to become Associate Dean of the Aspen (CO) Music Festival and School, where he managed the Festival’s public musical activities with Music Director Jorge Mester and Dean Gordon Hardy, worked on school administration and, during the off season, administered the New York office which involved festival programming and student and faculty recruitment. 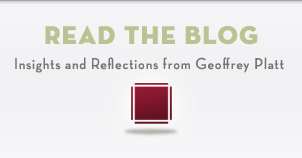 In 1971 Geoff entered the MBA program of the Harvard Business School in order to enhance his abilities in management. He was one of the very first students from the nonprofit field seeking a Harvard MBA with the intention of returning to the field better armed for its challenges. He received his degree in 1973. The topic of his 2nd year research paper (the equivalent of a thesis) was Labor Relations in Symphony Orchestras. In his time as a graduate student Geoff determined to shift his cultural management focus from music to the broader field of arts councils, enterprises that had been growing with the emergence of the National Endowment for the Arts, part of whose mandate was to bring the arts to a broader public through the support of state arts councils. Upon graduation he joined the staff of the Colorado Council on the Arts and Humanities, where he served as Director of Program Development, organizing state-wide touring programs as well as designing a support structure for major institutions. During his service in Colorado Geoff saw first- hand the transformational impact of the arts on a broad spectrum of the public. In 1975, a few months after his marriage to Hope Forsyth, Geoff was asked to come to New Orleans to start its arts council, the Arts Council of New Orleans. In place only were a grant from a local foundation to a committee, and the promise from then mayor Moon Landrieu to designate whatever private organization would emerge as the city’s official arts agency. No office space, no budget and no program. In his five years there he created a vibrant public arts program, which included outdoor concerts, an annual arts festival and most significantly an outdoor display of monumental contemporary sculpture by nationally known artists such as Mark Di Suvero, and others. The concerts brought, at no charge to large audiences, New Orleans musicians such as the Preservation Hall Jazz Band and the Marsalis family, including the then teenager Wynton and his brother Branford. He also worked to promote the arts in general, including hosting a live weekly radio program on the local NPR affiliate entitled “New Orleans Arts Report,” where he interviewed guests such as Edward Albee, Walker Percy and Joan Fontaine. He became executive director of the National Assembly of State Agencies (NASAA) in 1980, which required a family move to Washington, DC. NASAA is the trade association of the 56 state and territorial government arts agencies. The work entailed liaison with the National Endowment for the Arts, the U.S. Congress, and extensive travel to visit constituent agencies, training and writing. Geoff found the travel hard on his young family (Lucy born in New Orleans in 1977; Rufus in D.C. in 1981) and resigned in 1984 to take on a unique opportunity. He had become fascinated by politics in his work in Colorado, New Orleans and DC. When his good friend Michael Strang was elected to the U.S. House of Representatives from the 3rd District of Colorado and subsequently asked him to become his Administrative Assistant (Chief of Staff) he accepted. Strang was a Republican and succeeded a Democrat, which meant there was no office, staff or equipment in place to serve the over 400,000 constituents when the term began January 1, 1985. Geoff organized and directed what became a legislative and constituent service staff of 18 in DC and in three offices in the district that covered 55,000 square miles. Strang had been elected for an open seat in a district with majority Democrat registration. In the election of 1986 he lost narrowly to a Democrat opponent. In March 1987 Platt combined his political and cultural administrative experience to become the first Director of Government Affairs for the American Association of Museums, the organization based in Washington, D.C. representing the interests of 2700 institutions (from art to zoos) and 8500 museum professionals. Over a 4+ year tenure he built the department and became involved in a number of issues critical to the museum community: appropriations to the federal cultural agencies, tax policy and the particularly difficult and sensitive matter of disposition of Native American remains and cultural artifacts held by museums. In his interaction with museum professionals across the country he also became widely knowledgeable about issues facing museums in general as well as the challenges facing their leaders. After over 10 years in staff work, Geoff had been longing to return to community-based cultural activity and in late 1991 he made the bold move of resigning his position with AAM in order to pursue this goal. In May 1992 he became Executive Director of Maymont Foundation, which operates Maymont, the 104 acre museum and park complex in Richmond, Virginia. The property features an 1893 House Museum, Italian and Japanese Gardens, a carriage collection, a nature center, wildlife exhibits and a Children’s Farm. In his almost 14 years there, he helped transform the institution, tripling its budget ( $1.2- $3.1) million and staff (19 to 56), and adding new facilities, including the Robins Nature and Visitor Center built in 1999 after a successful capital and endowment campaign that raised $18 million. Additional capital projects included restoration of the “downstairs” at Maymont Mansion, which included the kitchen and servants’ spaces and most notably an exhibit devoted to the African-Americans who worked there in the late 19th and early 20th centuries. The over $1 million cost was raised from the public (National Endowment for the Humanities and the Commonwealth of Virginia) and private (individuals and foundations) sources. Additionally a Meeting and Events hall was created by renovating and adding to an existing building ($1 million from a single donor). During his tenure, he also guided the adoption of two five year strategic plans and a master site plan for the large multi-use property. In mid-2005 Geoff was approached by Boscobel Restoration, Inc. (www.boscobel.org) which was looking for a new executive director. One of the premier house museums in the country, Boscobel , overlooking the Hudson , is located in Garrison NY 25 miles from Mt. Kisco, where Geoff grew up. The Boscobel board was looking for a leader to bring a new perspective to its management, especially to better utilize its extraordinary site. In December 2005 Geoff announced his resignation from Maymont to become executive director of Boscobel beginning April 1, 2006. His decision was motivated by several factors, including a new professional challenge at age 65 and returning to the area of his upbringing. His four years as executive director can be symbolized by one of his first actions, changing the site’s name. Motorists on Route 9D, passing by, would read this sign: Boscobel Restoration, Inc.- a Museum of the Decorative Arts of the Federal Period. Believing this to be too restrictive a descriptor and counter to his vision of the future, he recommended that it be called Boscobel House & Gardens. Thus began a transformation of the institution. He instituted new programming, ranging from reinterpretation of the basic house tour to outdoor events with a broader appeal (“Sunset Jazz Soiree”, Yoga). The surrounding community began to see the “exclusive” image of Boscobel change. Marketing of the institution and programs was moved from exclusive use of printed material to the Internet and use of e-mail. Deferred maintenance of the property – building and grounds – was aggressively addressed. Three accomplishments are particularly notable. First was the establishment of an annual seasonal art exhibition program designed to bring new visitors to the property and entice previous visitors to return. In 2007 Geoff secured support from the board to transform a previously underutilized twelve hundred square foot room in the lower level of the House into a space designed specifically for art exhibitions, the design and construction of which he oversaw. In 2008 the first exhibit – of Hudson River School paintings - opened and was succeeded by two more annual shows. The result is new visitation and increased local, regional and national attention for Boscobel. The exhibition program offered an opportunity for Geoff to initiate the first private and public fundraising program outside of annual board appeal at Boscobel. The institution had existed for years on the generous endowment established through the beneficence of Lila Acheson Wallace and aside from a low key membership drive run by an independent board, little had been done to attract outside support. He began a donor society devoted to annual support of the exhibitions and for the first time sought state support, which resulted in grants from the New York State Council on the Arts in 2009 and 2010 and New York Council on the Humanities (2008-2010). Geoff undertook these initiatives in the belief that raising contributed funds results not only in dollars but in wider community investment in and ownership of the institution. Finally, under Geoff’s direction, working with a board committee, a five year Strategic Plan was formulated and adopted by the board in early 2010. The plan was the first in Boscobel’s history developed from within the organization. It also included a new mission statement, replacing the previous one developed in 1989. 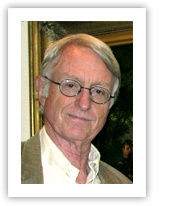 In April 2010, Geoff announced his retirement as executive director and, to effect a smooth transition, that he would remain at Boscobel as Senior Advisor for Development & Special Events until January 1, 2011. In that capacity he supervised the ground-breaking concert by folksinger Tom Rush in the Shakespeare Festival tent and the “Currier & Ives on The Hudson” exhibit in the Boscobel Gallery. He also prepared an analysis of and recommendations for a development /fund-raising program at Boscobel.